This eccentric fancy necktie knot looks good when worn to informal events. 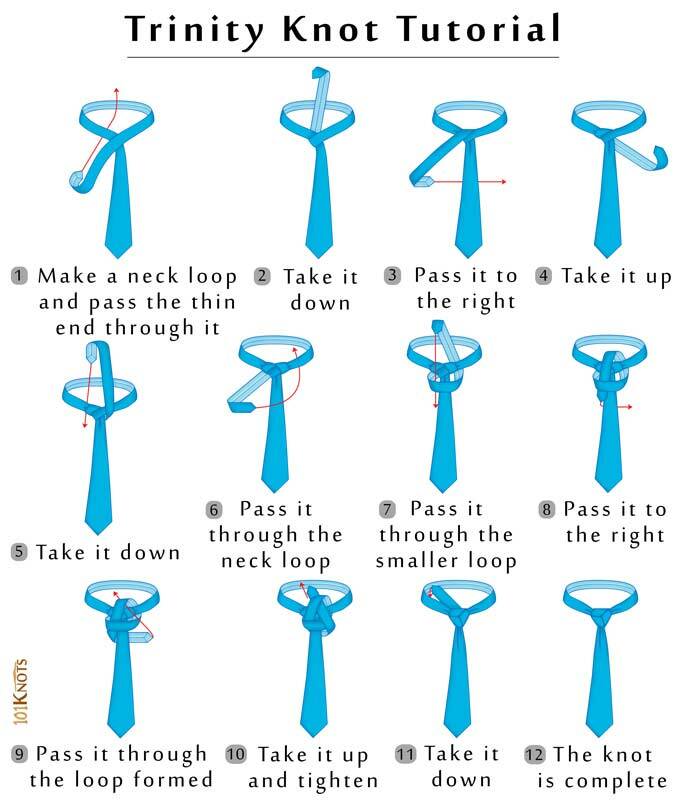 The knot needs a lot of practice to achieve the symmetrical shape as shown in the diagram. It has garnered a lot of attention in the recent years, mostly with the online audience. It carries with it certain holy-trinity connotations. The attractive knot is 3 way symmetrical and a little larger than the Windsor knot. With the triple tucks of the knot resembling the Triquetra knot that has a Celtic appearance, one can say that it originates from the latter. You should start by wrapping the tie around your neck and the length so adjusted that the wide end is at the level of your belly button. Note that the diagram shows mirrored images. Looks dapper with plain and single stripe ties. Avoid wearing it on ties with elaborate patterns. Does not suit skinny ties. It suits ties having contrasting or different shades than that of the shirt. Wear it on the occasions of weddings and avoid it on business meetings and interviews. 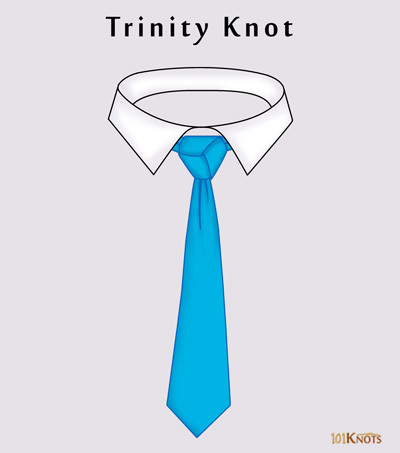 Double Trinity knot – Larger and bulkier.